It’s the end of the second week of the “Too Good to Cut” challenge, and I am still making half-square triangles. There are going to be lots of these — I need 192 of them! 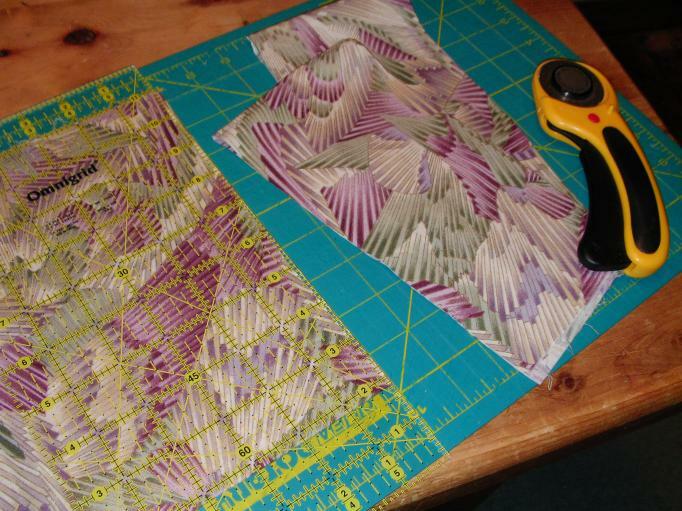 I also cut my “Kaleidoscope” focus fabric this week. It was very exciting and not difficult at all! It feels good to have a definite plan for using this cherished 1997 Hoffman Challenge fabric at long last. But it is a start! Thanks for challenging us! 192 is a lot of triangles. Kudos for chosing such a challenging pattern. 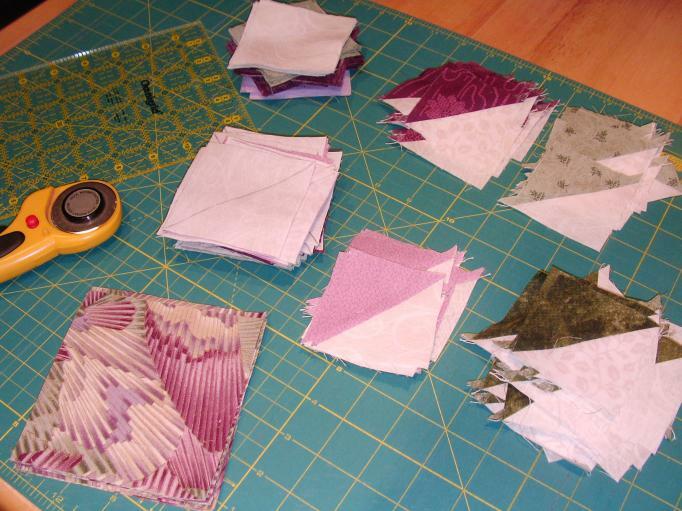 I’m beginning to enjoy the paper piecing with the pattern I’m using. I think I will feel more comfortable trying a pattern with smaller pieces next time. Checking in to report my progress each week is definitely helping me to stick with the project.